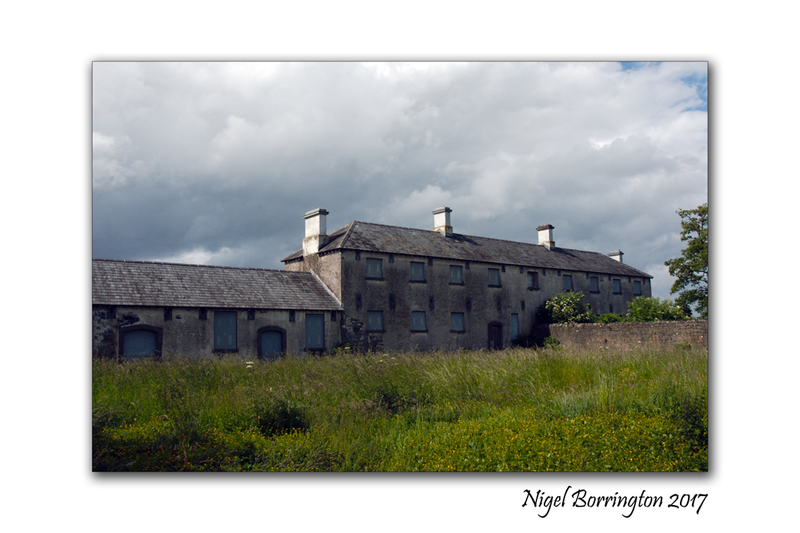 The workhouse was an institution which operated in Ireland for a period of some 80 years, from the early 1840s to the early 1920s. There were 163 workhouses in total. If people could not support themselves, they could come into the workhouse. Here they would do some work in return for food. 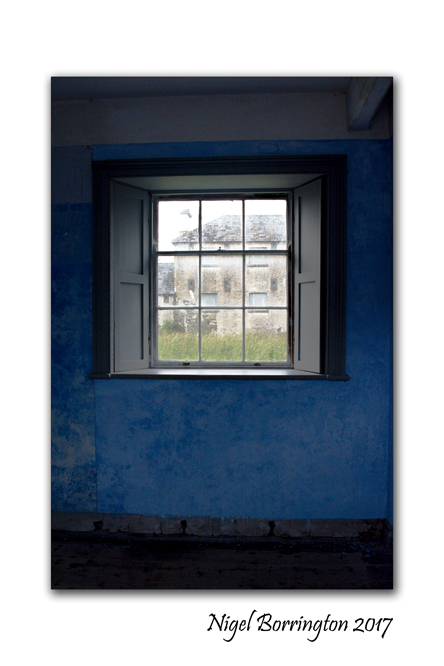 People had to stay and live in the workhouse and so the system was known as indoor relief. The whole family had to enter together. This was a way for the landlords to clear the land of tenants who could not pay rent. Life in the workhouse was meant to be harsh so as not to encourage people to stay. 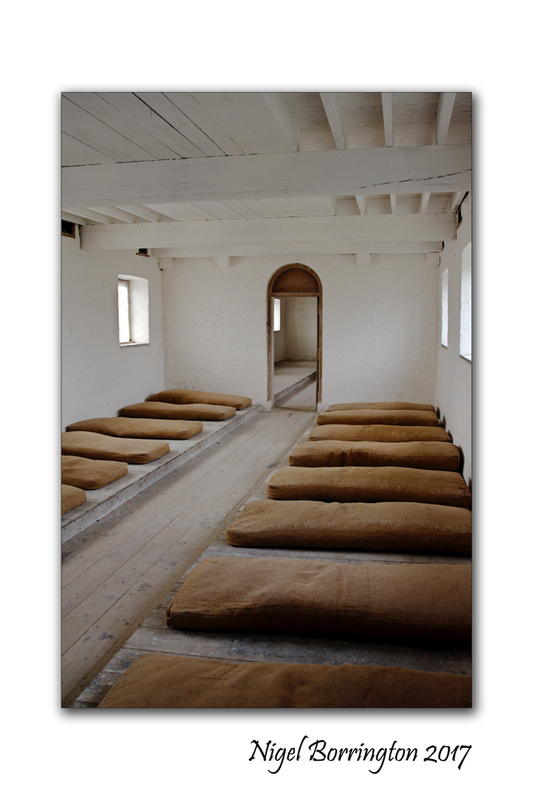 One of the cruellest aspects of the workhouse was that family members were split up into separate quarters. Children aged two or less could stay with their mothers. Sometimes, family members never saw each other again. The workhouse was not a prison. People could leave if they liked. The high walls surrounding the workhouses were for keeping out, not for keeping people in. How did workhouses come about? In Ireland under Brehon Law, the native laws dating back to Celtic times, rulers had to take care of the sick and the poor. In the 5th Century, Christianity came to Ireland and with it monasteries began to develop. Over time, these monasteries took on the role of caring for the less fortunate. From the mid 1500s, Ireland was invaded by Protestant English settlers. The land was taken from the Irish, the religious were prosecuted and the whole care system broke down. The situation was so bad that by the beginning of the 1800s, it is estimated that some 2.3 million people were at near starvation level. At the time Ireland’s population was nearing 8 million. By this time also, most of Ireland’s small farmers and landless labourers were dependent on the potato as their main food. In England, Scotland and Wales there was poverty too. The workhouse was an English system. The first workhouses in England opened in 1836. Almost 700 workhouses were built in England and Wales. The main concern of the Poor Law Commissioners in England was to ensure that the system was not abused by lazy people. Scotland by contrast had a more humane system based on outdoor relief. One of the key differences between England and Ireland at the time was that work was available in England whereas in Ireland, whilst people were willing to work, there was no employment. 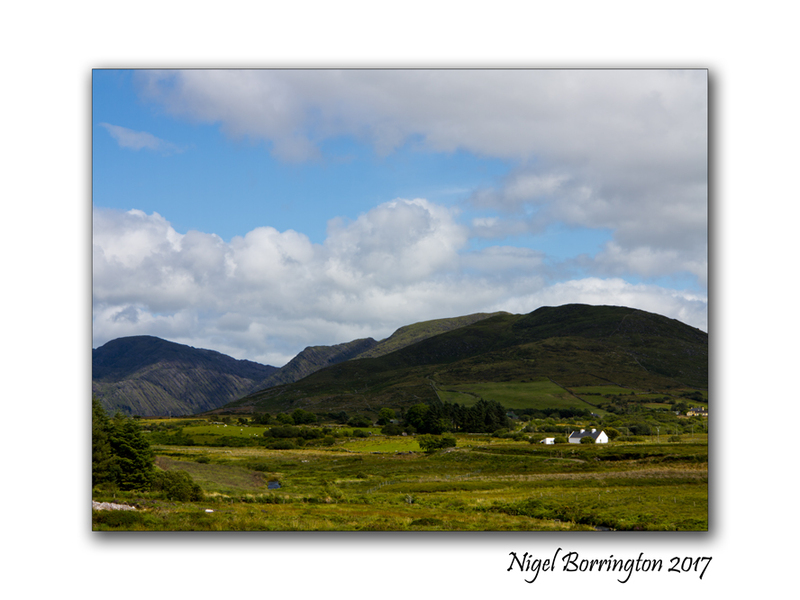 In 1800, under the Act of Union, Ireland became part of Britain. Numerous committees were set up to investigate the extreme poverty in Ireland, but nothing was done. However, as more and more Irish people flocked toBritain in search of employment, the British Government acted and sent over one of the English Poor Law Commissioners, George Nicholls, to find a solution. This was his first time i nIreland. 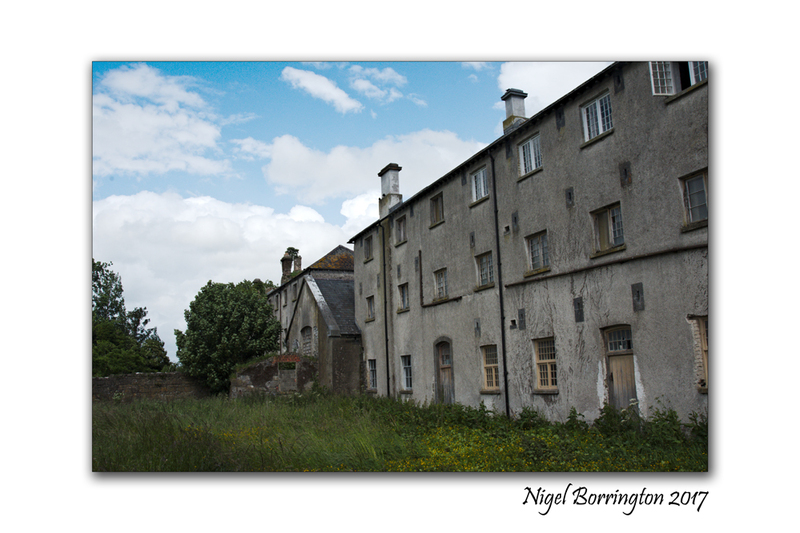 He did a quick tour and reported back that Ireland needed a workhouse system similar to the English one. The Irish Poor Law Act became law in 1838. What did this Poor Law actually mean in practice? It divided the country into 130 unions. A further 33 were added after the “famine” years. Each union was to have a workhouse and the workhouses were to be financed by a tax on land. 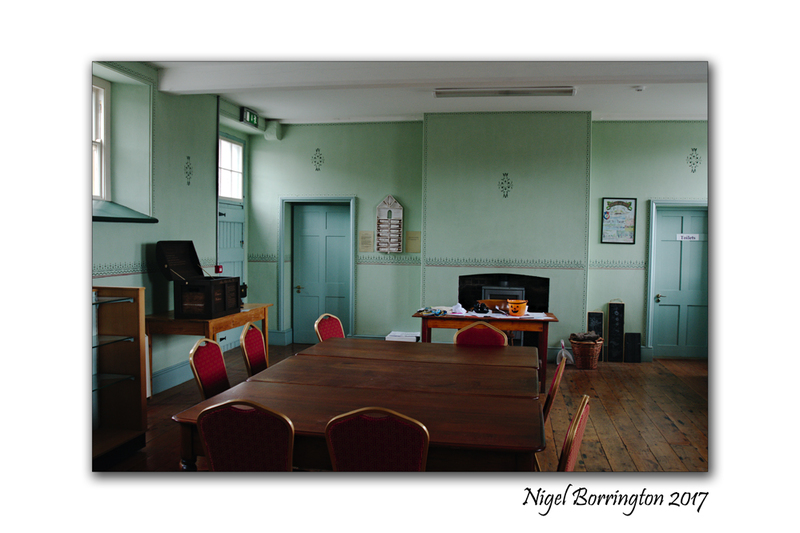 George Wilkinson was appointed as architect to the Irish Poor Law Commissioners, to design and supervise the building of the workhouses. The first workhouses opened in 1841. Before the “famine years”, the number of people entering the workhouses was low. People were slow to leave their holdings. However, by the autumn of 1846, it became clear just how bad the situation was. The potato crop was diseased and inedible. It was emigration, starvation or the workhouse. People began to flood in. After the “famine” years, the numbers of people entering the workhouse decreased and over time it became a place for people that society did not want: unmarried mothers, children born outside of marriage, orphaned and abandoned children, “lunatics and idiots”, old and infirm people, tramps who travelled the roads. Between 1838 and 1921, the principal features of the poor law and the workhouse system remained largely unchanged. The system was abolished in the early 1920s, when Ireland gained independence from Britain. What was life in the workhouse like? Life in the workhouse was harsh and frequently cruel. There were many rules. The food was poor. There was little to do. People were separated from their families, hungry, frustrated, badly treated, bored and mostly without hope. 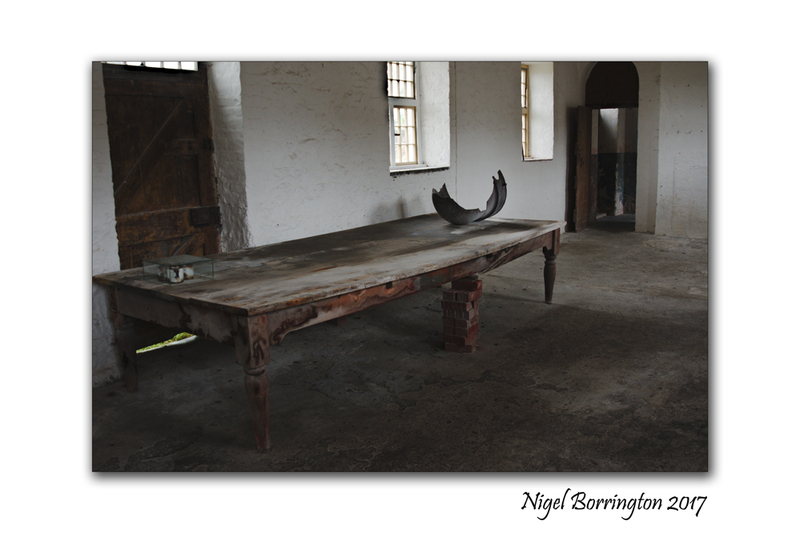 Often the inmates reacted against this, by breaking the rules and by fighting amongst themselves. Some preferred prison to the workhouse as the food was better and the regime not as strict. Staff were often ex police men or army. There was a very high dismissal rate with many of staff being cruel, incompetent and dishonest. The diet varied somewhat from workhouse to workhouse. Generally, it consisted of stirabout, which is like porridge, milk and potatoes. Children got bread. Adults received two meals a day and children three. Reports of the time show that the food was often of very poor quality. The workhouse diet remained very basic and it was not until the end of the 1800s that tea, bread for adults and a meat soup dinner were introduced. Very little productive work was carried out. One of the rules was that the workhouse should not enter into competition with outside businesses. When numbers in the workhouse were large, it was difficult to find work for everybody. In the earlier years, the Capstan wheel was in operation in some workhouses. Women & children, maybe up to several hundred, went around in circles pushing a big wheel for grinding corn. Breaking stones for building roads was a common occupation for the men. The women did domestic jobs such as cleaning or helping in the kitchen or laundry and looking after the sick. Older inmates were put to work mending clothes and spinning wool. Girls were meant to be trained for domestic service. Oakum picking was carried out in many workhouses. This involved separating out the strands of old ship rope so that it could be reused. There were large numbers of children in the workhouse. In 1850, there were up to 120,000 children. Conditions were terrible for them. An English Clergyman who was in Ireland at the time expressed his shock at the total failure to provide for these children. 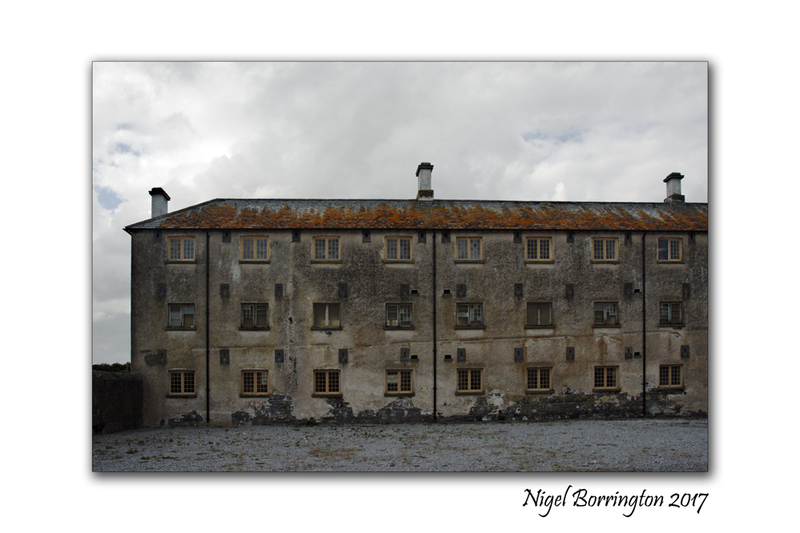 He described the children in Limerick workhouse as skeletons covered in soars and dressed in rags. 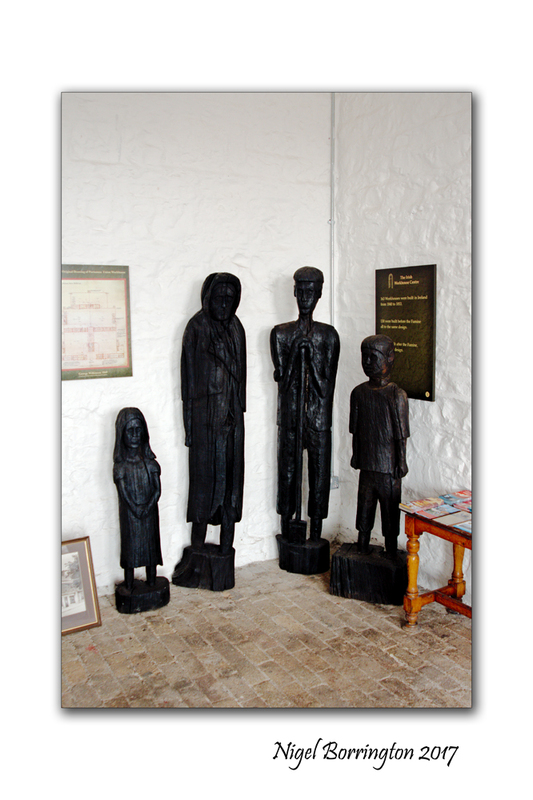 Many of the children who survived the “famine” years grew up in the workhouse. They have been described as having “the same guttural voice, a blank expression and of having a strange similarity.” These children only knew the workhouse existence. Children were supposed to go to school in the workhouse where they were meant to learn reading, writing, arithmetic and the principles of the Christian religion. The reality was quite different. School teachers were often incompetent and cruel, incapable of teaching enormous classes of hungry and dirty children. From the 1860s onwards, social reformers pressed for the boarding out of children to foster families but this was slow to happen, probably because the workhouse would have had to pay the foster families. From about the 1870s onwards, the religious orders began to get involved and started setting up industrial schools, where children were meant to receive training. By the early 1900s, the days of children in the workhouse were beginning to draw to a close. Did people ever leave the workhouse? One of the ways that workhouse numbers decreased was through emigration. The cost of emigration to landlords was less than that of keeping paupers in the workhouse. An Emigration Commission was set up. 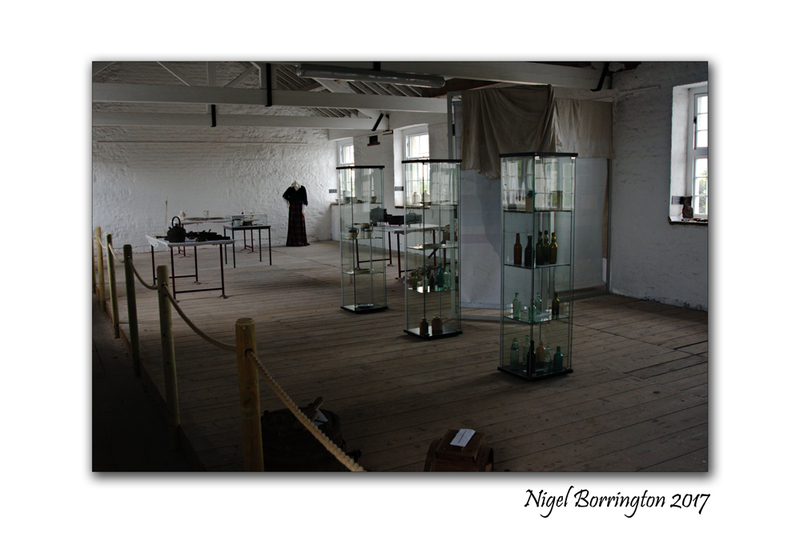 Its representatives visited every workhouse in Ireland. Those who wanted to emigrate were offered free passage, clothing and a little money. Between the years 1848-1850, 4,175 orphan girls aged 14-18 left Irish workhouses forAustralia under a scheme supported by the Australian government. In the 1850s, the Poor Law started to assist young female paupers to Canada where there was demand for domestic servants. Over 15,000 girls were sent there. Was there anything good about the workhouse system? Though separate, the workhouse was also paradoxically a part of the locality in which it was situated. It provided business to local suppliers, some employment and medical care to the general population. 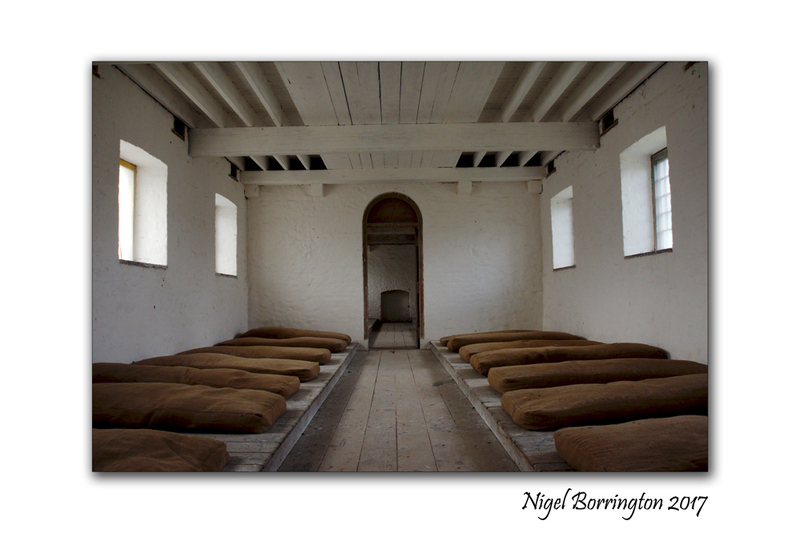 Originally, the workhouse infirmary or hospital was just for the sick inmates. No qualifications were required for nurses and the level of care was very poor. From the 1860s, qualified nursing sisters began to make their way into the workhouses. Care of the sick improved greatly and the workhouse hospital was opened to non inmates. These local hospitals were missed by many when the system was abolished in the early 1920s. Some of the workhouses became county hospitals or homes. However, for generations that followed, people had an awful fear of spending their final years in the County Home, being as it was part of the workhouse system.